Looking to Buy Or Sell in Austin Texas? For hundreds of years, nomadic tribes of Tonkawas, Comanches, and Lipan Apaches camped and hunted along the creeks, including what is now known as Barton Springs. In the late 1700s, the Spanish set up temporary missions in the area. In the 1830s the first permanent Anglo settlers arrived and called their village Waterloo. In 1839, tiny Waterloo was chosen to be the capital of the new Republic of Texas. A new city was built quickly in the wilderness, and was named after Stephen F. Austin, “the father of Texas.” Judge Edwin Waller, who was later to become the city’s first mayor, surveyed the site and laid out a street plan that has survived largely intact to this day. 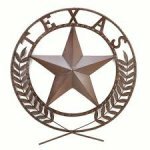 In October 1839, the entire government of the Republic arrived from Houston in oxcarts. By the next January, the town’s population had swollen to 856 people.The new town plan included a hilltop site for a capitol building looking down toward the Colorado River from the head of a broad Congress Avenue. “The Avenue” and Pecan Street (now 6th Street) have remained Austin’s principal business streets for the 150 years since. After Texas was annexed by the United States in 1845, it took two statewide elections to keep Austin the capital city. 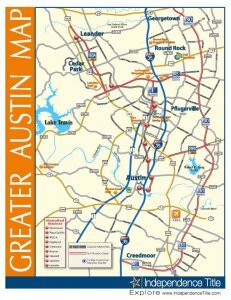 There are plenty of amazing subdivisions to choose from in Austin, serviced by the renouned Austin Independent School District and here at Austin’s Mobile Realty we’re eager to help get you started on your journey to Central Texas living by being your preferred local Brokerage. Enjoy browsing the local Austin listings below and let us know what catches your eye; or ask for updated daily listings for your review. We Can Help You Buy Or Sell In Austin Tx!